The sheetrockers are hard at work at my Rockridge project. 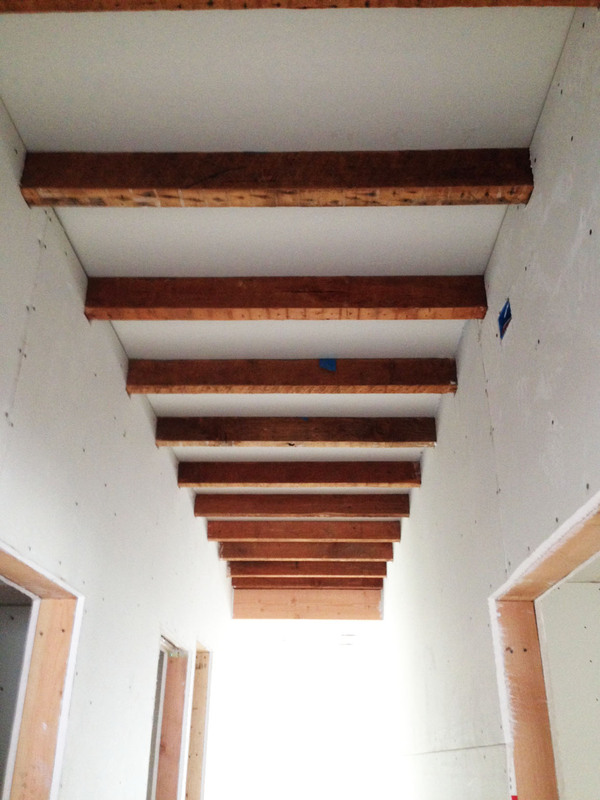 Here is a picture of the hallway where we are keeping the fine old ceiling joists exposed. Stay tuned on this one. Its going to be the coolest hallway ever.